Sony is to cut the Japanese cost of its forthcoming PlayStation 3 console by 20%, the consumer electronics giant announced in Tokyo on Friday. The price cut is aimed at boosting the launch of the machine and making it more competitive with the Xbox 360. The price for the North American and European launch will stay the same. The surprise move will see the 20 gigabyte version of the PS3 sell for 49,980 yen ($430) when it goes on sale on 11 November in Japan. No changes to the price of the higher end model - 60GB version - or European and US prices were announced. Sony has previously been criticised by the gaming community for the high cost of the new console. The lack of an announced price cut for the US and Europe markets may also raise some gamers' ire. In the US, the system with a 20GB hard drive will cost $499, while a model with a 60GB drive will cost $599. European pricing is 499 and 599 euros respectively. The new Japanese price puts the console in the same range as the basic Xbox 360 machine combined with an add-on HD-DVD player, which cost 49,600 yen together. Sony hopes the price cut will deflect criticism after a series of delays to the PlayStation 3 console, concerns about price and apathy from some gamers about the capabilities of the machine. When the new console is released in November it will compete with Microsoft's Xbox 360 and the Nintendo Wii. Nintendo's new console will cost 25,000 yen or lower in Japan and $250 (£133) or less in the US, while Microsoft's Xbox 360, which went on sale last November, starts at $299 in the US and £209 in the UK. PlayStation boss Ken Kutaragi, speaking on the opening day of the Tokyo Game Show, also said that all 20GB consoles would come complete with an HDMI connection, important for playing high definition graphics. Previously, Sony had said that only the top end 60GB model would come with the connector. He said that it had now become apparent that there was a need for the high definition capability. Mr Kutaragi also took the opportunity to apologise to games developers for delays in the release of the PS3. 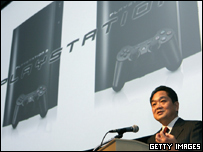 Should the Japanese PS3 price cut apply to Europe and North America? The new console was originally scheduled for launch in Spring 2006, but technical hitches postponed the worldwide release until November this year. Earlier this month, Sony was also forced to announce that European gamers would have to wait until 2007 to get their hands on the next generation console after delays in production. Japanese gamers will be able to buy the console from 11 November. 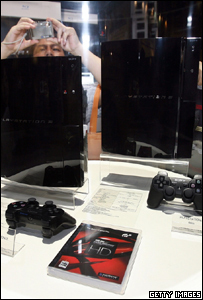 More than 200 of the consoles are on display at TGS. "What is important is that we get more consoles sold to make up for the price cut and get more game makers and chip makers in our camp," Mr Kutaragi said at the conference. He said the company's focus was now on ensuring that no further delays occur. The announcements were made in a question and answer session following Mr Kutaragi's keynote speech at the opening of TGS. The speech, titled Next Generation Entertainment created by the PS3 was almost devoid of any announcement about the new console. Instead, Mr Kutaragi took the opportunity to outline his vision for a future of networked gaming and game development. He told the audience that game developers need to innovate and be prepared for a new generation of networked gaming in the future. He told the games industry that advances in computer hardware and internet services could change the way games are made. Content generated by gamers, such as digital photos and video, could be harnessed by game makers, he said. In addition, data such as digital maps of the real world and blueprints of new cars could be used to make more realistic and cheaper games, he said. "You might think this is a long way off, but it is not," he said. "If the data is available, we can utilise it." The Tokyo Game Show takes place from 22 to 24 September at Makuhari Messe conference centre in Chiba near Tokyo. Console wars: Which is best?